I remember my first encounter with death. I must have been three or four years old but I remember it as if it were yesterday. Tuffy, our family's pet pooch was there long before I was born so I was raised with him as being a natural part of the household, an extension of everything I loved as the young boy. And so Tuffy and I were best of friends. We'd play together and he'd knock me over and I'd chase him around the front room or outside in the yard having a wonderful time. As an only child, Tuffy was my companion and best friend. But then, early one morning, my grandmother gave me a sorrowful look and told me that Tuffy had died. At that time I had no real conception of death and yet I somehow knew that there were feelings of loss and even a kind of emptiness that accompanied it. Anyway, a little later that morning my aunt invited me to go with her to "take care" of Tuffy and of course I went even though I didn't know what to expect. We got into her old car and drove to a place up in the nearby hills. Tuffy had been wrapped in a towel and lay still on the back seat behind us. I stood by while my aunt dug a hole in the ground and buried Tuffy beneath a pine tree. She had tears running down her face as she covered the grave and stacked rocks at the head of it as a kind of gravestone. I also cried. That was around seventy years ago. Since then I've lost a lot of people and pets that I've love. Some were buried and some were cremated, all were gone...forever. I personally believe that no one dies in the sense we are used to thinking about death, but rather I've concluded that nothing that lives can die.There are a few physicists who agree with this and so I am convinced that what we call "death" should instead be called "change." Nevertheless, the dynamic of death is foreboding and sad for those left behind. For one thing, death itself always reminds us of our own mortality to one extent or another. And so, we grieve the loss of those that have passed and for our own loss of losing a person (or pet) that we've loved and cared about. Up until recently I have always buried my own pets, except for the horses I've owned, because I simply dread the thought of cremation. I do not expect everyone to agree with me but creation seems too cold and harsh for my personal liking. I never dreamed that there was an alternative beyond burial. It is that alternative that stirred me to write this article: I've called it Aquamation. Because I live in California I found a local company by the name of Peaceful Pets Aquamation. Instead of fire they use a process called alkaline hydrolysis; a water based process. I will get back to the positive aspects of water in the process a little later but first, for those who are interested, this leads us into the basic technology of aquamation. To begin with, It is far more eco-friendly than cremation. Indeed, some people have already chosen the process for themselves opposed to the more traditional ways of disposing of their bodies. This has not arrived without challenges, however. Back in 2011, the Ohio Department of Health notified a Columbus funeral director that they would no longer issue him permits for the use of Alkaline hydrolysis (aquamation) since the Board of Embalmers and Funeral Directors did not recognize it as an approved method of disposition. Well, let's be realistic here: This is result of mere lobbying by the cremation and burial folks who don't want a newer process to take away any portion of their business and therefore their profits. They are obviously disregarding the fact that aquamation is a "greener" alternative and so, what the cremation and burial people are actually saying is, Why have environmental awareness when money is at stake? I do not wish to be overtly graphic but Professor Roger Short at the University of Melbourne tells us that the cremation process can create up to 350 pounds of greenhouse gases per corpse. As for actual burial, it widely known that the embalming liquid, often containing carcinogenic formaldehyde can leak directly into the soil. So there is plenty to think about and consider when it comes to choosing aquamation over the more traditional kinds of body disposal. (No, I haven't lost sight of our major concern being beloved pets but I do want the reader to fully grasp that we are talking about a total concept that's not only about animals but we humans as well. *I simply believe aquamation to be the most caring and conscientious way to expose of both pets and people. Both my wife and I are avid animal lovers and we agree that the process is most loving for our pets because aquamation is closest to the disposal process of nature. *Although I am like most everyone else, I do not like to think about such things but as mature individuals we all must face these topics at one time or another. Anyway, aquamation employs the process of alkaline hydrolysis. Most simply the body is placed in a stainless steel vat containing potassium-hydroxide and water which is heated (but not to a boil) and after four hours only bones are left which can be turned to "ash" and scattered in the same way that cremation allows. The difference is that there is no color discoloration with aquamation. Indeed, by 2007 around 1000 people chose the process for themselves, I do not know the number of how many more have chosen the process for their pets. Dr. M. L. von Franz has explained the circle (or sphere) as a symbol of self. It expresses the totality of the psyche in all its aspects, including the relationship between man and the whole of nature. He summarizes this by telling us that the circle always points to the wholeness of life. 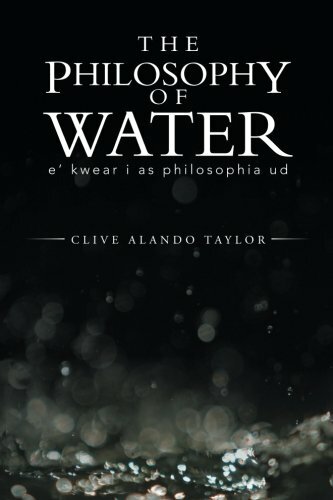 I mention the above because aquamation returns us to water from which we all emerged and so it more naturally completes that life/death cycle or, another way of saying this is to say, from water we have come and to water we return. In this view, I also feel compelled to mention that both ourselves and our pets are around 65% water. As a result and as said before, aquamation is most similar to the process of what happens to bodies in nature. The big difference is that aquamation accelerates the process. I don't know but the method of disposition by aquamation simply seems less violent than cremation. As for our pets, I was and remain pleased that I found Peaceful Pets Aquamation in a relatively close distance from where I live. I certainly don't want to sound like an ad here but I cannot help but say that folks who run the place are apparently animals lovers themselves and fully understand the grief that accompanies most of us when we have lost a pet that we've loved. Incidentally, they offer beautiful, artistic urns or inexpensive free ones and make green burials for pets a positive possibility too. Thankfully, we have not had to use this service yet but when our pets pass we certainly will. There is probably an aquamation service near you in the U.S., Britain and, I believe, Australia. The entire idea of what I term full-circle-disposition is becoming very favorable worldwide. It just seems apparent to me that aquamation is truly the future of after-care. Why do most of us grieve the loss of pets? First of all because when our pets pass it is a loss. Most typically a loss of a companion, a friend and sometimes a playmate. Even pets like rabbits can give us feelings of joy and attachment. While I am well aware that there are some people who never really feel attached to animals. One fellow I know who had an old faithful pooch for years but when "Old Faithful" finally crossed over, he simply and coldly tossed the carcass in a trash bin. Without getting into details we all know that there are some people who are cruel and uncaring to animals. We who have empathy cannot understand this. Indeed, we become in connectedness with our pets and we love them as extensions of our human families. As a result, when they pass away we want to honor and respect them as being precious to ourselves, as old friends parting for the last time. While this book does not refer to the above article, I found it highly interesting for those interested in a new view of spiritual consciousness. This was the first time I have ever heard of this method. Thanks. I found it very interesting. Thanks Lavender, Always nice to hear from you. Thanks for sharing this! Dust unto dust and all that. Alternatively, Aquamation is a great green way to obtain the remains of our dear ones. But I still like the idea of returning them to the elements. Our family have all chosen to have their ashes scattered on top of the mountains that keep guard over us. We all have to take a turn at becoming ancestors. Including our furry friends - that's why I can't eat meat!